Re: Kids are misbehaving….so relinquish them at a shelter? Good morning and a cheery Tuesday to you and and your pets! Lately The Second Chance Animal Shelter has been SWAMPED with calls from people wanting to relinquish their pets. Currently we have pretty unsocialized Border Collie crosses, who are having a hard time getting adopted, as well as not making me sooo popular in the neighborhood by barking A LOT.. BUT..the increased pressure on the Animal Shelter is happening ALL over North America. Animal Shelters are being SWAMPED with calls and those no longer able to care for their dogs and cats. P.S. I get MOST frustrated with supposed ‘owners’ who use Shelters to dump animals with problems… If they had taken the time to do some basic behavioural training and socializing, then these dogs wouldn’t be in the shelter in the First place. Allison L. Strong of Agawam, a volunteer for Cat Pack Adoptions and Rescue of Ludlow, holds Hazel on her lap as Jan looks through the bars of her cage at the organization’s booth at the Pioneer Valley Cat Fanciers’ Assoc. Cat Show, Sunday afternoon at the Greek Cultural Center in Springfield. Both cats are available for adoption. The 8½-year-old mixed breed canine boasted a house in Enfield, two cats and three children to play with and owners who let him sleep in their bedroom at night. But then he lost it all. His owners lost their home to foreclosure, and he ended up at the Massachusetts Society for the Prevention of Cruelty to Animals Western New England Animal Care and Adoption Center in Springfield. Family pets – like Baxter – have become the latest casualties of the economic decline that is altering the way thousands in Western Massachusetts live. More than 1,000 residents lost their homes to foreclosure in Hampden County alone this past year, and thousands more are coping with the inflationary costs of basic necessities like keeping their gas tanks and their pantry shelves filled. That means many dogs and cats are going from homes to shelter cages, taxing the resources of organizations which care for them as they await new owners. Second Chance serves Central Massachusetts, including the Palmer, Ware and the Belchertown areas. Most of the animals which have been surrendered since the spring at Second Chance have been due to home foreclosures and hikes in other costs of daily living, said Brackley. She also thinks, however, that the economy might also have contributed in another way to the upswing in animals being placed up for adoption. “People didn’t spay or neuter their pets. We’ve got kittens galore.” It can cost an average of $190 to $200 for dogs and $145 for cats, according to the American Society for the Prevention of Cruelty to Animals; some shelters offer low-cost spay events from time to time. At the MSPCA adoption center, Candice H. Lash, the director for community and media relations, said the region’s escalating rates of foreclosures is affecting the fate of dogs, in particular. Pets like Baxter would have stayed with his family, even in a tough economy, but when a family can’t keep their home, they face moving to circumstances in which dogs aren’t allowed. If people are forced to move, “it’s harder to relocate with dogs. Some places will take cats,” Lash said. As people are losing their homes, some people aren’t even bringing their pets into shelters to be put up for adoption, according to Barbara L. Hays, executive director of the Thomas J. O’Connor Animal Control and Adoption Center, also in Springfield. Some people are simply leaving their pets behind, Hays said. People “are setting them loose when they move away, letting them fend for themselves (or hoping) somebody else will find them roaming (and take them in.) That’s not at all realistic,” she said. The O’Connor center has seen a particular spike in the number of abandoned cats. Hays said the center saw a 38 percent rise in the numbers of cats in July from June and, as of July 31, had close to 200 available for adoption. With so many animals “the pet care per animal gets stretched,” she said, noting there is no correlation with an increase in staff. The rise in the number of animals up for adoption has also resulted in times when the center has had to euthanize cats because they run out of space to house them. Lash, too, said the MSPCA is seeing more pets coming in with health problems because their owners couldn’t afford the care. The shelter was used to seeing thin dogs or pets with fleas, said Pamela L. Peebles, manager of the animal care and adoption center. But now the animals are coming in with much more grave ailments, and, that, she said, “is a burden for our vet. While pet food expenses have stayed about the same over recent years, the costs of veterinary care have risen, said Stephen L. Zawistowski, executive vice president of the American Society for the Prevention of Cruelty to Animal programs and science adviser. Costs are up in part because more medical care is available. 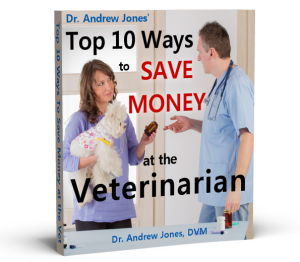 He recommends that owners consider health insurance for their pets at an estimated cost of about $225 per year. Such insurance, he said, can ease the financial burden when it comes time to make decisions about care. In the face of increased demands for their services, shelters are facing financial challenges of their own with donations in some places on the decrease. Second Chance has been trying to expand its shelter for a year in hopes of offering more pet clinics. But, said Brackley, “You can’t get blood from a stone.” They are finding that donors who might have given $100 in the past are now only able to donate $50. If there is a bright spot in all this, said Hays, more people are coming forward to adopt dogs. Individuals who might have previously gone to a breeder or a pet store may now be coming to a shelter to find a canine companion, she said. Dog adoptions at the O’Connor center, according to Hays, cost $175. And, the other good news – Baxter found a new home. I am very concerned about animal shelters having too many pets, left off also. You hinted at the cause when you mentioned pets (especially dogs) needing proper training. Non-trained dogs are the main reason they are abandoned or left at shelters. However I take issue with the blanket statement about spay/neuter, especially quoting Bob Barker. He is a radical that says ALL pets must be spayed or neutered. Mandatory spay/neutor laws are not the answer, nor do they work. Shutting down puppy mills, and other IRRESPONSIBLE breeders are. Mandatory S/N will cause many more problems than it would solve. People will stop using vet services for fear of being turned in to the local animal control for having an intact dog. In areas where rabies and other dieseases are present dogs would be at risk. This is such a sad tale, even though it had a happy ending for Baxter. The same thing is happening in our neck of the woods and here, the price of pet food has increased drastically, as well. We feed mostly RAW, and even the prices from the processor have surged. A 50# bag of ‘decent, not premium’ kibble has risen from $13.97/bag to $20.47/bag. Even the cruddy stuff, crammed with corn, has skyrocketed. We have learned to decrease our personal and food expenditures, rather than make our animals suffer. It’s amazing how much more economically you can live when you get your priorities straight, and eliminate the luxury items. Priorities have to be hanging on to your home. I feel so bad for all those people who have lost theirs. SAD! It is just terribly sad to see all those animals that people have just left behind. I just thank the lord there are many wondeful organzations like yours that will try to find them new loving homes if it is at all possible. The other increase I have seen where I live is in dog theft – Boxers, PitBull type dogs, toy breeds etc…purebred dogs especially. So many dogs and cats needing homes and we have people stealing animals from good homes for purposes that I don’t even want to think about. Its really sad, that many ill informed people get rid of animals that have come to depend on them. Here in Kenya we have a similar problem, much larger in proportion though. The percentage of people who keep pets are far less. Most people keep dogs mainly for security, once they old are simply gotten rid of as they are no longer worthy of the food (as if any decent food is given anyways). They are given to other people (who cant afford to look after them), put to sleep or let loose. There was once i met a man at a local dog show. He had around 6 German Shepards, kept as guard dogs. When he found out that i also had 2 of my own, he asked my how i looked after them and if i had any tips for him. That was encouraging at least someone who cares about his dogs, enough to ask for tips. What came next shocked me. He told me that he didn’t find GSD dogs to be aggressive and was thinking of getting rid of his to get Doberman which are more ferocious. Gee, just get rid of them, like they don’t matter. I also told him that i had cats, and he goes “what do you keep those for?”. God help him and like him. There isn’t a shortage of ignorance, or greed, which if gotten rid of can help solve a lot of the issues mentioned earlier. Please help. Last evening a kitten most likely about 6-8 weeks old appeared on my back porch. I have an empty cat carrier and put a fresh towel in and was planning on keeping him in there until AM when I could best determine what to do with him. But, as New England summers often turn, it got colder than I could stand the kitty being out in. So kitty came in. In the carrier. After mewing for a few minutes pretty loud I took kitty out: trimmed his nails, gave him a bath (we have two household cats I was concerned for) and hunkered down to have a less than peaceful night, which is what I had. Kitty, I call him ‘Scoop’, snuggled and nested in my hair and tried suckling my earlobe. After weeing and pooing on my bed and yet another bath and treating laundry and diseinfecting everything at 3AM, finally peace! Especially, after I trained ‘Scoop’ to use the litter box (all in one night!). I had fed Scoop the teensiest amount of ‘Harmony’- a Connecticut based brand holistic, organic cat food both soft and dry versions (chopped up with a little milk mixed in). We both made it through the night! However, this morning has begun a poo fest that is continuing! Loose stools and smelly. What do I do? I hate calling my local vet for all the reasons you can imagine. The shelter is of no help as they hold the caller responsible anyway and they had an article out in paper yesterday about how overcrowded and not accepting of new pets they are anyway. So, although I seriously do not want to add a new kitty to our family of three children and two stray cats (2 and 5 years old) who adopted us too, years ago, I am in a quandry. I’m afraid to feed ‘Scoop’ anything and keep offering fresh water. I had to go out for a short while today and put ‘Scoop’ back in the carrier and came home to an awful stinky gross mess. Poor Scoop! Please advice. You know, it may be against our free rights as humans, but they ought to sell dogs and cats like they adopt them out. They scrutinize people, to see if they’re going to be great parents. Maybe Bob Barker’s correct. Spay and neuter. There should be commercials stating we shouldn’t buy animals for cute xmas gifts to children. Children until they’re teenagers don’t really take care of animals. Adults don’t even clean up after their dogs. We may need stricter guidelines, and animals definitely need to be seem as more important beings in the eyes of the law.